#0184-SQL Server-Quiz-Which database does not follow one of the ACID properties? Prize: Two (2) Pluralsight training codes! Any RDBMS system follows a certain set of general principles that are geared towards ensuring the integrity of the data residing within the database. These fundamental principles are collectively known as ACID properties, which every database within an RDBMS system should confirm to. The Question – Which SQL Server database does not follow one of the ACID properties? Here are two (2) bonus questions which you can answer – the bonus questions also contribute to the prize-winning questions! This entry was posted in #SQLServer, Blog, Imported from BeyondRelational and tagged #SQLServer on August 6, 2012 by nakulvachhrajani. 1.Tempdb does not Follow all ACID rules. 1.Tempdb Does not follow property Durability. 2.Tempdb is created whenever sql server is restarted so all changes in tempdb are gone.what if system is crash and starts again we will have news tempdb. **Reason:** SQL Server build/create ‘TempDB’ whenever we restart the server/service. If you are doing some calculation using TempDB (you are in middle of something) and suddenly SQL Server crashes and you have to restart the server/service then all your temporary data stored in TempDB is no longer available. You have to start your process once again. It is correct behavior (logicall as well) as TempDB is created for temporary purpose only. So, whenever connection has been closed, local temp tables are also dropped automatically. – **master** – the repository for system stored procedures, schema views, functions, DM views, and so on. – **model** – an empty, basic database that new databases are copied from. – **msdb** – the location where backup data, jobs, SSIS packages, and other server-level data is stored. – **tempdb** – a frequently-used data storage location that holds metadata about temporary object such as temp tables and table variables, as well as their data if not kept in memory. Also, when the server needs work tables, it stores them in tempdb. For example, if a query needs a hash plan and exceeds its memory grant, it will “spill” to tempdb. Tempdb is also used to maintain cursors, and it holds versions of table rows generated by snapshot isolation & row versioning isolation levels, online index operations, Multiple Active Result Sets (MARS), and AFTER triggers. Only one of these databases has any reason for or allowance of not supporting all the properties of ACID: *tempdb*. 1. The ACID property it does not support is *durability*. – When the session that created a temp table disconnects, the temp table is destroyed. Note: this includes temporary stored procedures, as well as all normally-named objects that are created while using the tempdb database, e.g. `USE tempdb; CREATE TABLE a (b int);` actually creates a temporary table which is destroyed upon disconnect. – When the session that created a global temp table disconnects, and all the sessions referring to it disconnect, the global temp table is destroyed. – an AFTER trigger completes, and so on. 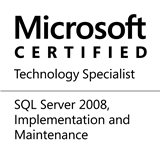 because when the SQl Server restarted We will get new TempDb ,all changes are gone. and tempDb does not follow “Durability” property of ACID. The answer is TempDB. TempDB does not meet the Durability property. TempDB is created at SQL Server startup from a copy of Model database. I agree with comments. Because answer is same in all the comments. > follow one of the ACID properties? SQL Server is RDBMS, not NoSQL DBMS. And one more thing: NoSQL is a movement and the BASE (Basically Available, Soft state, Eventual consistency) claimed to be the opposite of ACID. But there are some NoSQL databases that have ACID transactions (for example, [Berkeley DB]; [GT.M.] and others).